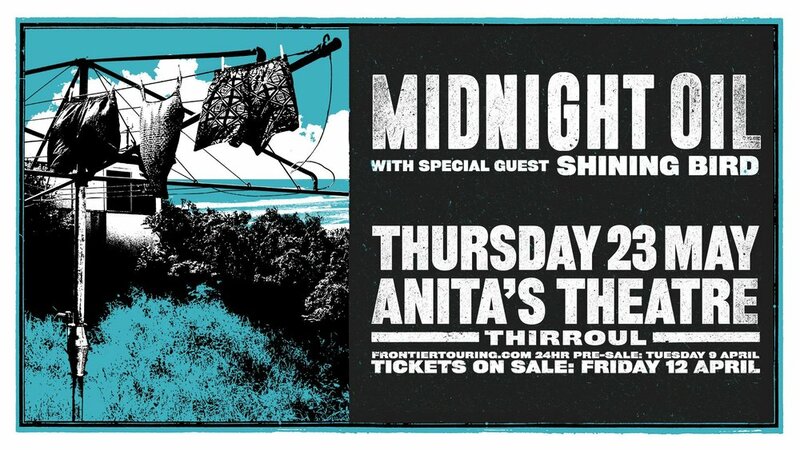 Iconic Australian rock band Midnight Oil will perform two intimate gigs next month! These will be the Oils' only Australian concerts for 2019 apart from their headlining appearance at The Big Red Bash. Acclaimed Darwin singer-songwriter Leah Flanagan will open in Canberra. Under 10s not permitted. All patrons require a ticket.